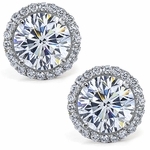 The Stunner 3 Carat Round Cubic Zirconia Micro Pave Halo Stud Earrings feature 3 carat 9.5mm brilliant round high quality diamond look cubic zirconia, further enhanced by a halo of single row of pave set round diamond look cubic zirconia. 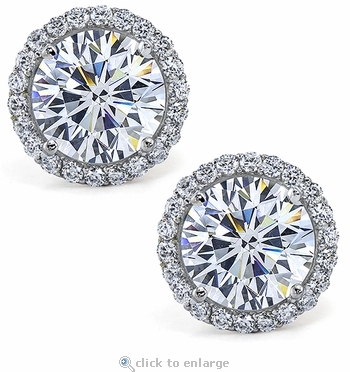 The total carat weight for these micro pave stud earrings is approximately 6.5 carats of the finest hand cut and hand polished original Russian formula cubic zirconia that will provide you with a stunning finished product. 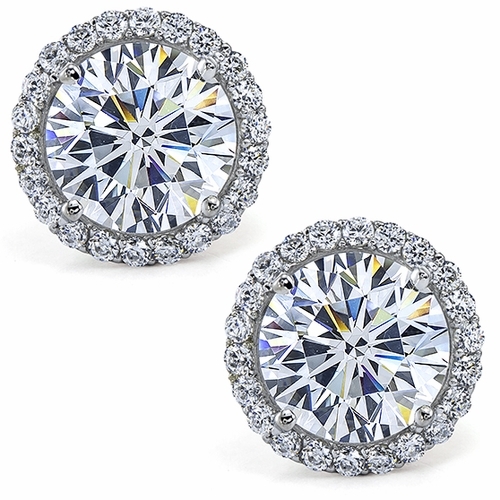 The center round stone is available in various color options that include man made ruby red, sapphire blue or emerald green gemstones in addition to lab created canary yellow, pink or white diamond look cubic zirconia. 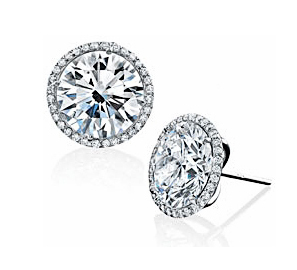 Choose from 14k white or yellow gold, 18k white or yellow gold or precious and luxurious platinum. 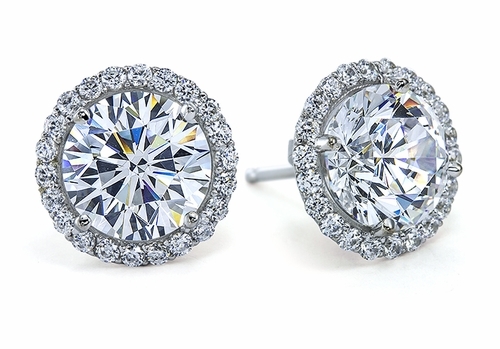 These earrings include standard 14k gold push backs or you can upgrade to the large back option, please see the pull down menu for options. For non pierced earlobes, French clips or Omega clips are available via special order. Please call us directly for a quote. For further assistance, please contact us directly at 1-866-942-6663 or visit us via live chat and speak with a knowledgeable representative.